I gave good old hair a revamp last few weeks ago. I cut my hair quite short every time I go to the salon (remember both David's and Fab Salon trips? 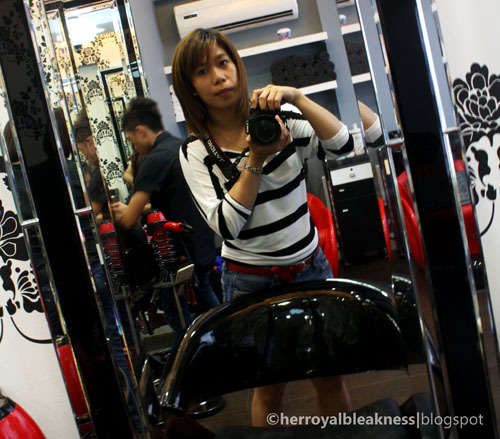 ), but this time, I asked The Blounge stylist, Ron, to keep my hair near shoulder's length. I'm often peculiar with how my hair should look like after cuts, but this time, due to some unexplained creativity drought, my instructions were less specific and lazy: "don't cut too short, i want a low maintenance cut." He asked several questions before snipping away, to which I gave nods and head shakes to. Surprisingly, after the cut, it wasn't too shabby! I love the new flair and so do the people around me. It wasn't a complicated hair cut nor was it fancy, but I love that he gave the back of my hair some flattering height while giving me layers that were easy to maintain. 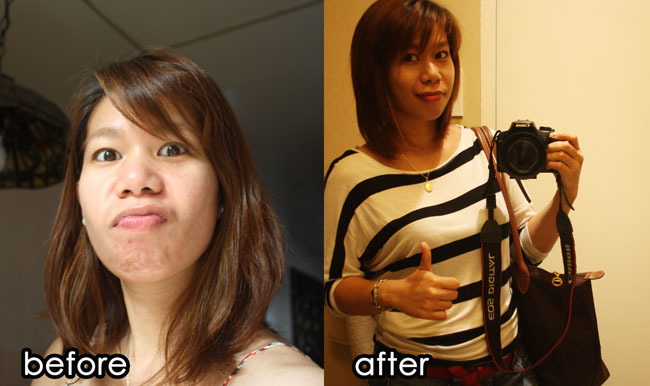 I suddenly realized that the hairdressers trained by Lourd Ramos are truly skilled! I'm thankful that I found talented cutters near my place. The Blounge is just a 15-minute drive from where I live. It's at the Hodge Podge Building, Mother Ignacia Street, in front of ABS-CBN's ELJ building. there's a huge chance you'll bump into a celeb. You do remember who I bumped into, right? I'm certain that I'll visit The Blounge Salon for my future cuts. And because I am so impressed with them, I prepared a post card I'll be sending them today, haha. 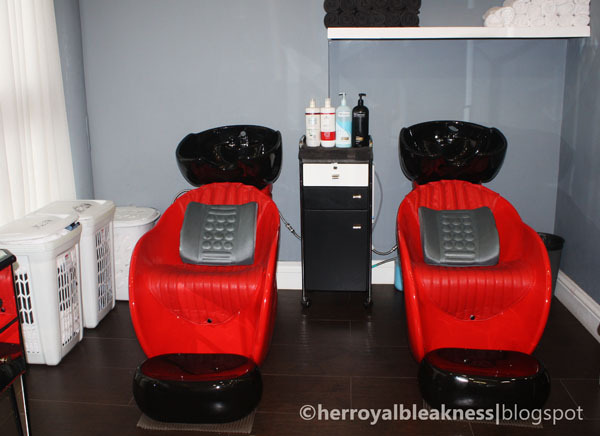 Check out The Blounge Salon's website for rates and other services and you can follow them on Facebook for the latest updates and promotions. 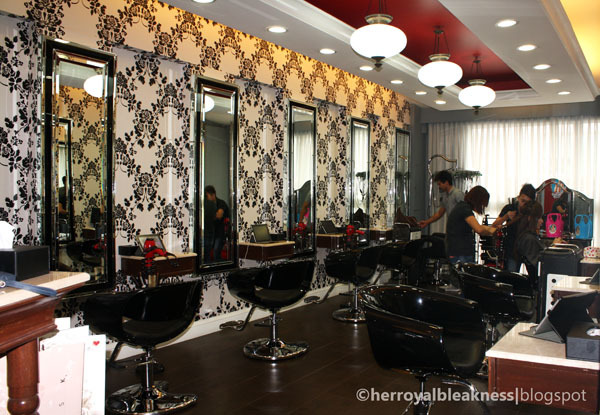 Ang ganda naman sa salon na yan. The wall papers give it a really sophisticated feel. How great that you had a good experience! I'm trying to find a place that can do that for me too, but I'm happy with where I get my hair cut for now as well. tama kau, maganda ang salon, napaka relaxing ng pakiramdam ng place. 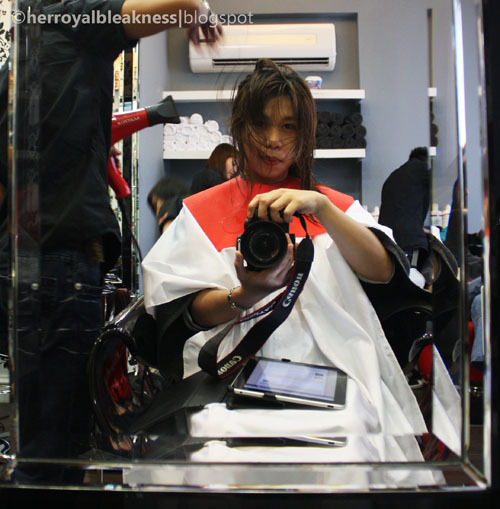 Maganda ang enovation, new ideas kc techi ung salon. But, meron pa rin kaming nakitang hindi maganda sa service. 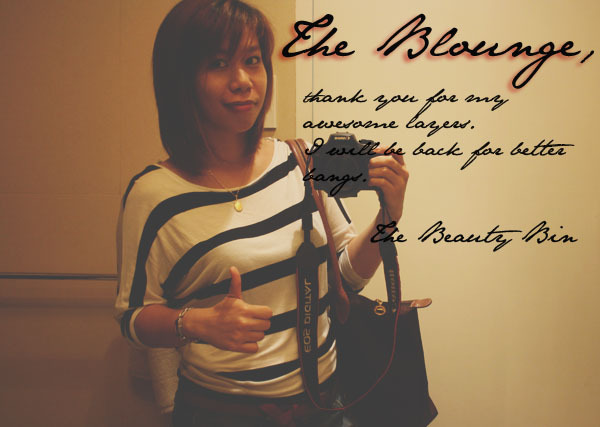 Kung bibigyan ka nmin ng grade from 1 to 10 sa environment ng salon, i grade it 9.. pero sa service, i gave it 5. why?? kc n feel namin na hindi sila patas magbigay ng 100 percent na service sa lahat ng tao or customer nila, kc ang ibinayad lang namin s gift certificate na bigay lang sa amin ng boss namin, cguro dahil d kami mayaman, at tingin nila d nmn cla kikita sa amin, e parang bara bara nalang ang ginawa nila, cguro tingin nila sa amin e wlang alam or experience sa salon.. biro mo rebond nalang na 4000 pesos, parang ang lumabas d nmn rebond. parang d justify ung service sa halaga ng sevice. masakit pa silang humawak sa buhok at tumatama sa tenga ang mga kuko nila. parang feeling mo mapipingas ang tenga mo. ok na sana kaso kung d nila babaguhin ang mentalidad na yan, hindi yan uunlad.